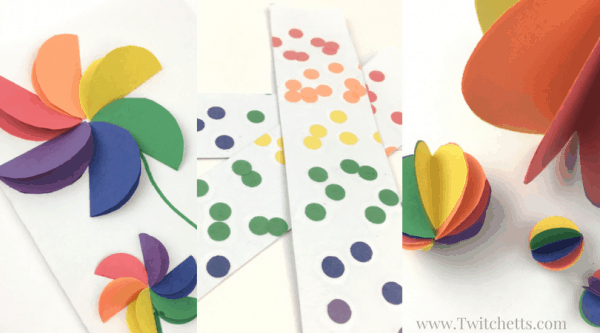 We combined two of our favorite themes – rainbow and flowers, in this simple paper flower craft for kids. 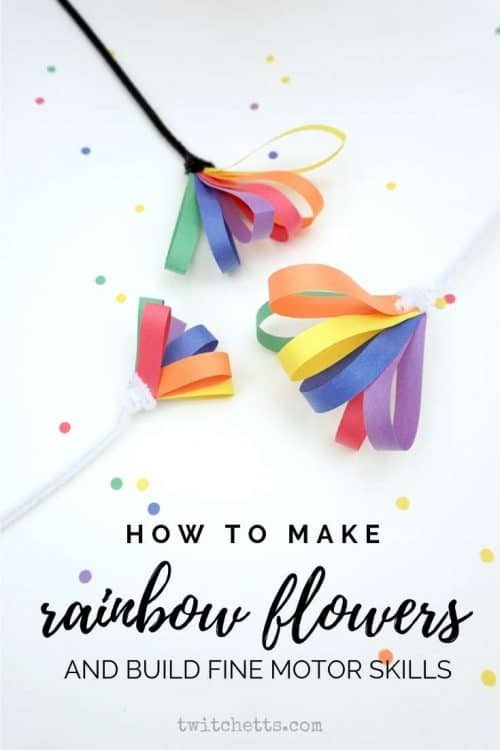 Make a bouquet of these lovely colorful rainbow flowers to welcome Spring, for St.Patrick’s Day or even to give as a gift for Mother’s Day. 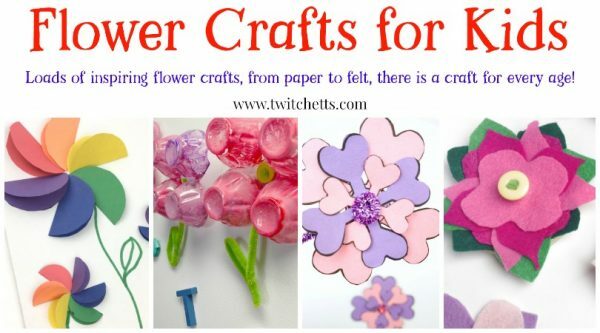 Cutting, punching, threading, folding – this simple paper craft contains so many benefits for fine motor skill development. 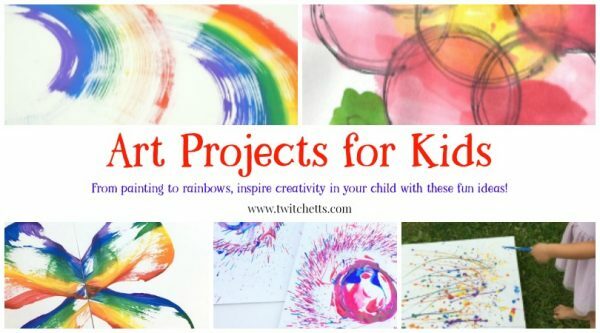 Best part, your preschoolers or kindergarteners will not even know they work on their fine motor skills! For them, this will be a fun and interesting craft! 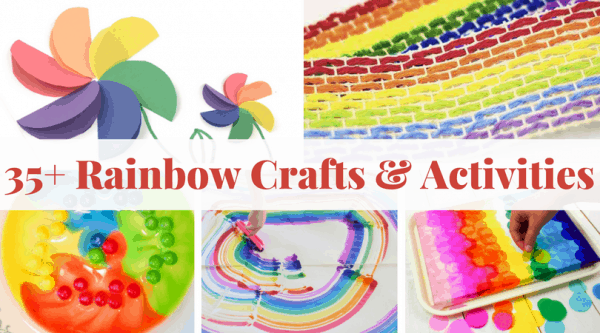 Rainbow crafts that are perfect for kids of all ages! 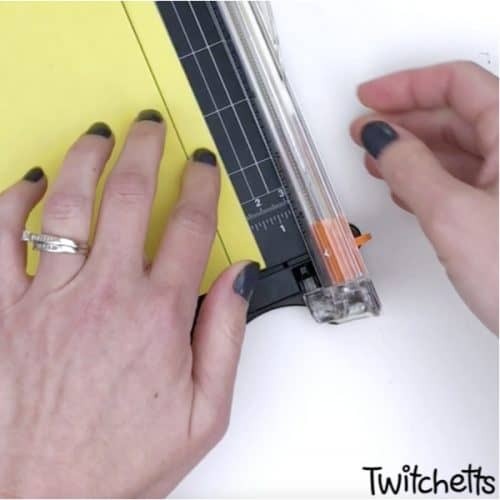 Using a paper cutter, cut 0.5-inch wide paper strips. 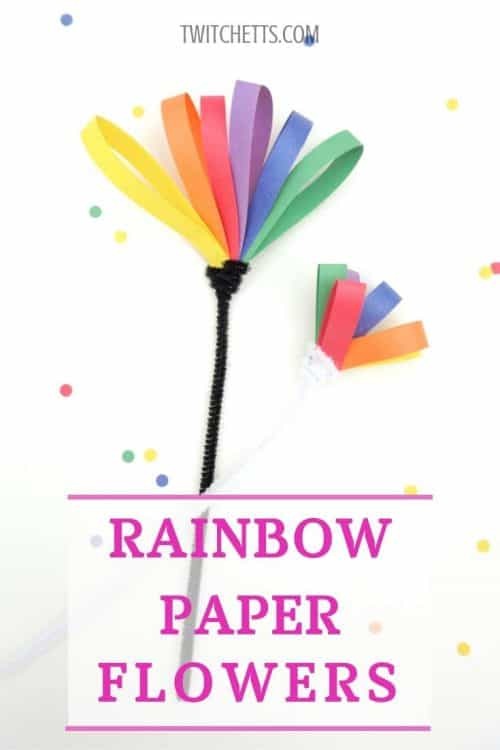 You will need at least one paper strip from each of the colors of the rainbow to make a single flower. Pick all the paper strips and align them. Punch a hole on each end through all the stacked paper strips making sure holes are aligned on individual paper strips. Take a pipe cleaner, fold it in half. Flatten a little piece in the middle of the pipe cleaner to form an end of the stem. 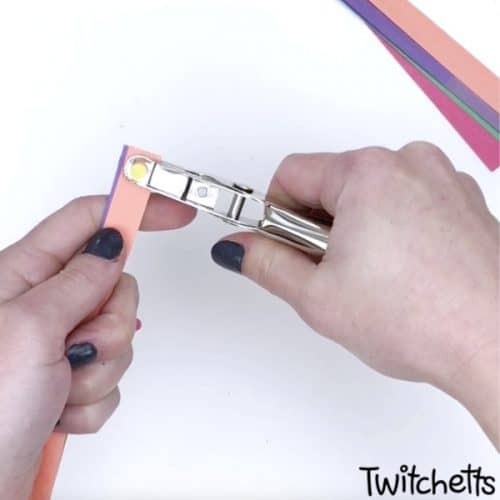 It will help stop the paper strips from sliding to the end of the pipe cleaner. 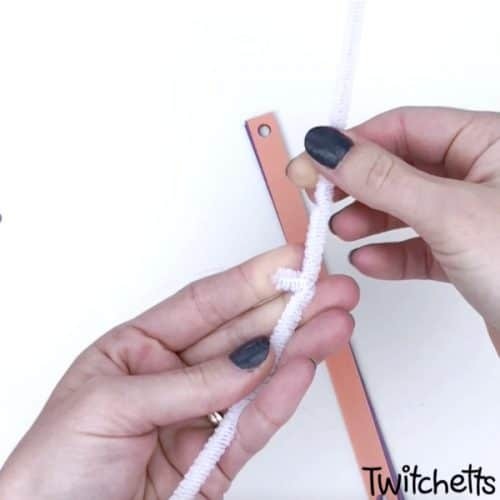 Slide the pipe cleaner through both holes of each paper strip. 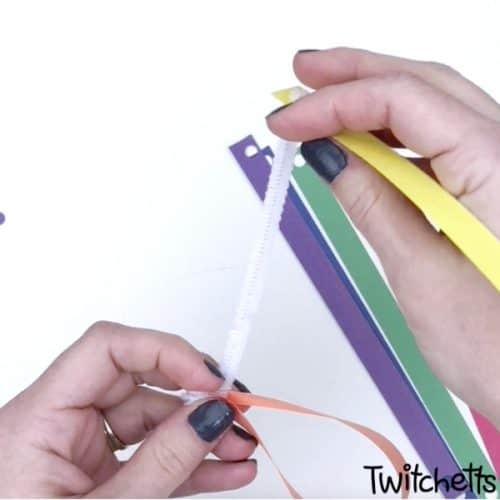 Start with orange and follow the order of the colors on the rainbow until you finish threading all paper strips. Related Craft: Don’t miss our most popular rainbow paper flower! Use one half of the pipe cleaner to form a flower’s receptacle. Wrap the pipe cleaner around the bottom of the flower and flatten as you go. 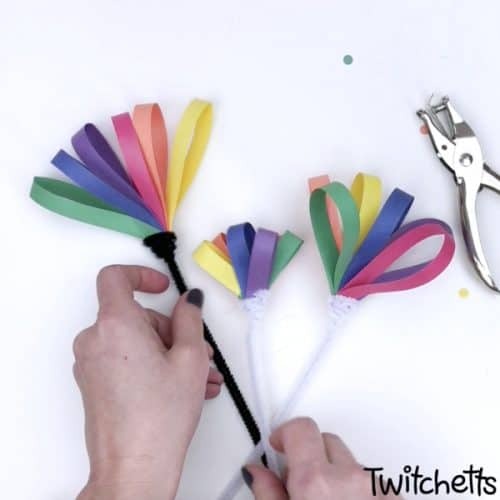 Using paper strips in different length, you can create differently sized rainbow flowers. For smaller flowers, use shorter paper strips. For bigger paper flowers, use longer paper strips. 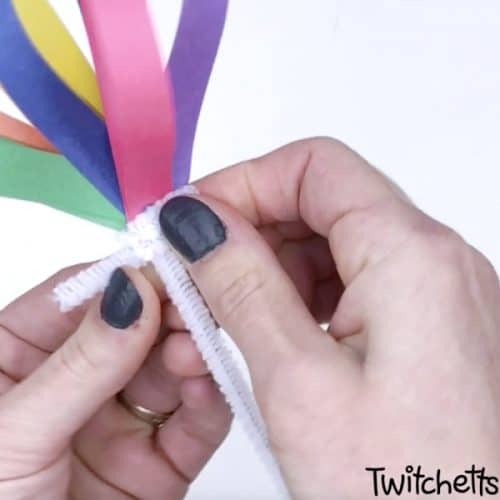 Watch us make this rainbow craft in our video! If you loved these paper flowers, please pin them to your favorite Pinterest board.